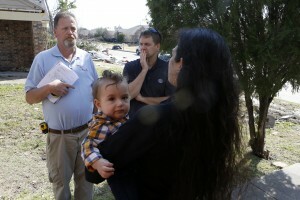 Even with insurance, storm-related expenses can pile up fast. Lindsay Diaz knows that firsthand. 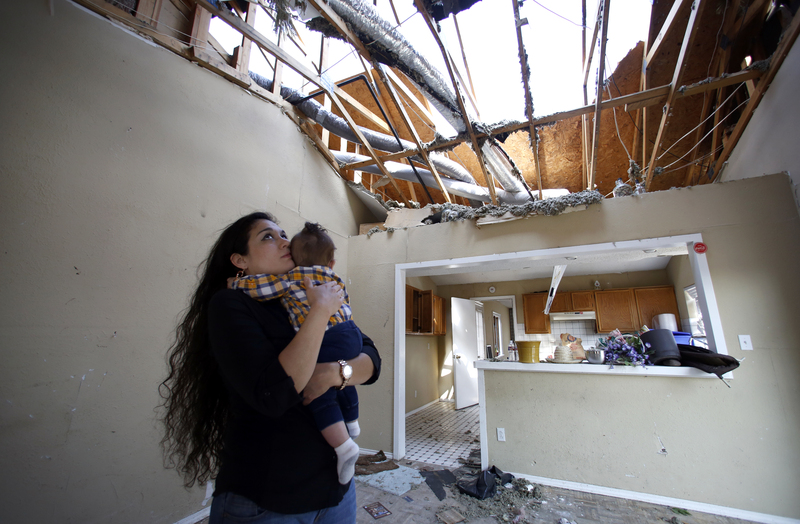 The Rowlett duplex she owned was blown apart on Dec. 26. She’s trying to juggle a full-time job, a baby, and the challenge of rebuilding her house and her life. The biggest problem? She’s underinsured. Even a month after moving in, Lindsay Diaz isn’t completely settled into her rental house in Forney. Boxes fill the kitchen, and there’s some random furniture on the porch. Eight-month-old Arian doesn’t seem to mind, leaping happily in a donated bouncy chair, while mom looks on with a grin. She still can’t believe how close they came to disaster. 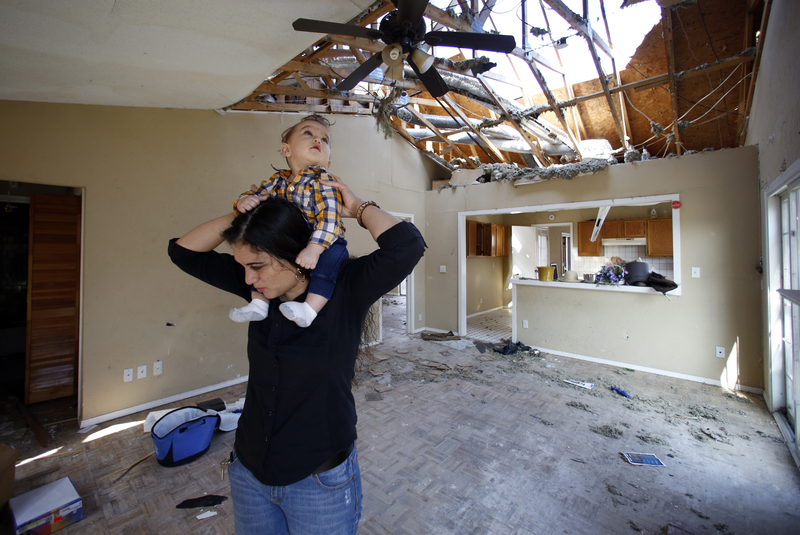 Diaz, her boyfriend and the baby were all home in Rowlett the night of the storm. When the weather reports turned serious, her boyfriend took her and Arian into the bathtub. Diaz felt the tub lift off the ground and slam back down. For a moment, she thought she might get swept away. 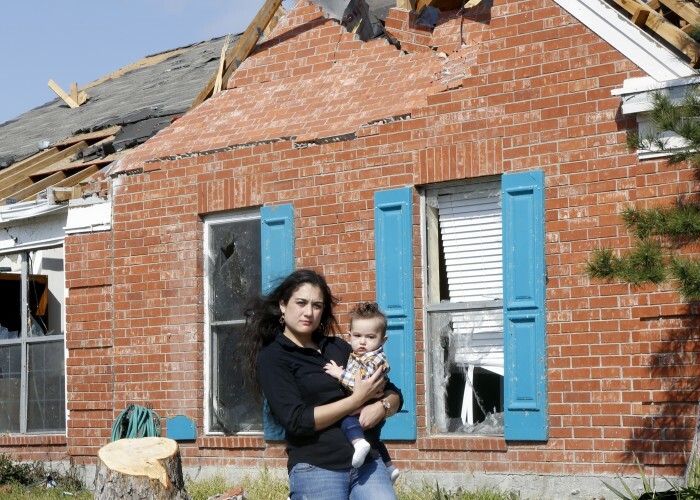 When the storm finally passed, Diaz saw what so many North Texans did the night after Christmas: a wrecked house full of broken furniture with holes in the walls and part of the roof peeled off. Diaz was stunned, and she stayed that way. Now that she’s had time to get used to her new reality, Diaz isn’t numb anymore. She’s worried — about money. Diaz owned her side of the duplex. 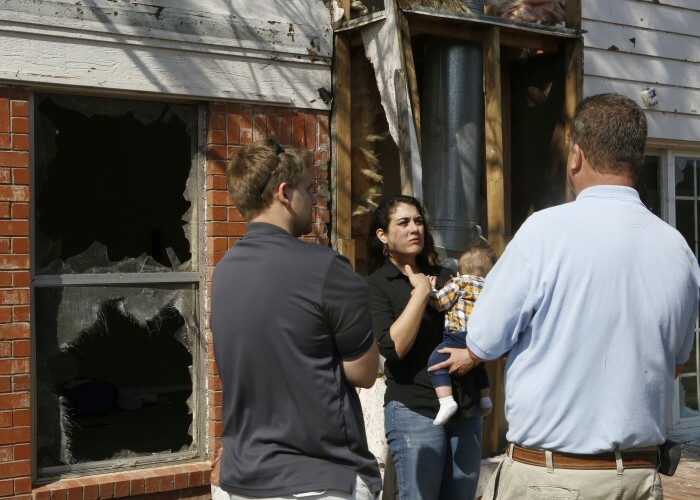 She has homeowner’s insurance, but her reimbursement check won’t quite cover the repairs she’ll need to make. 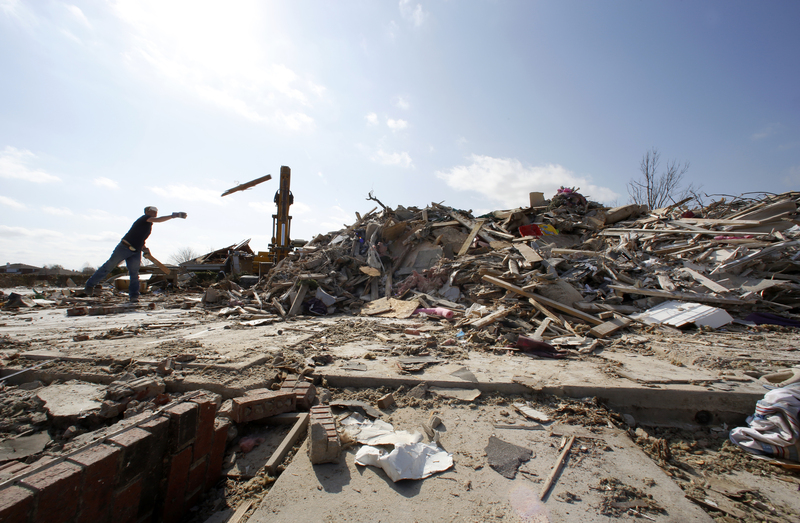 Insurance troubles are common after disaster strikes. 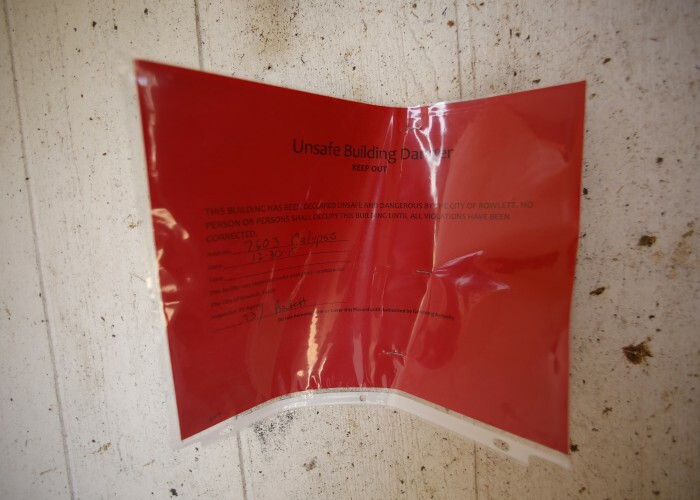 About 60 percent of American homeowners are underinsured by an average of 17 percent, according to the research firm CoreLogic. That means if a $150,000 home is a total loss, the typical homeowner would be short by more than $25,000 when the time came to rebuild. Jerry Hagins, with the Texas Department of Insurance, said keeping your coverage up to date is the most important thing you can do. That means making sure that your home’s value hasn’t spiked and that you haven’t filled your house with new things that might need replacing. Hagins said some large insurance companies automatically increase your premium each year to help you keep up. Most don’t. For a list of important documents you need stored in a safe place during a storm, check out this checklist. 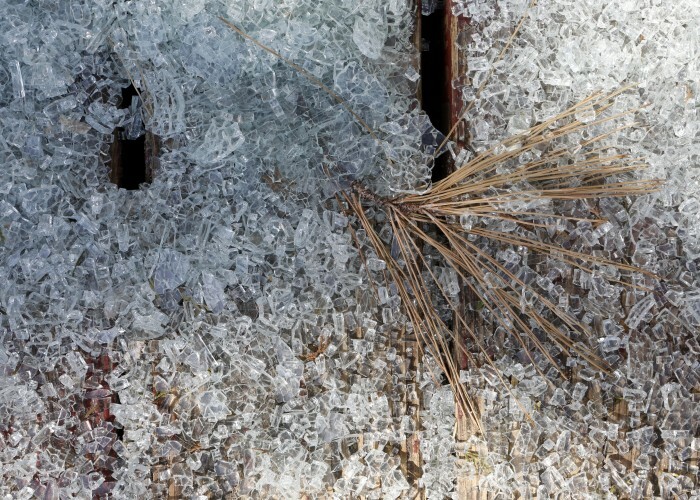 Problems aren’t limited to just inside a home. There can be problems in the driveway, too. 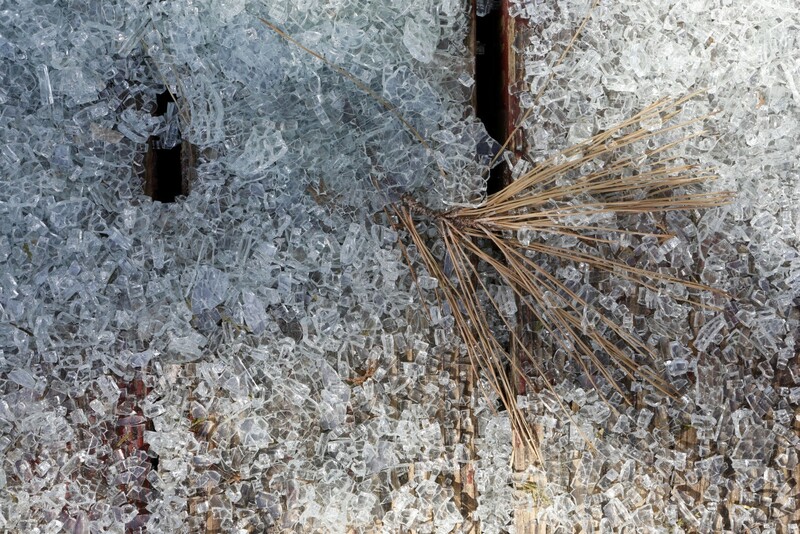 Cars get crushed, and a lot people don’t pay the extra premiums for rental coverage. Diaz didn’t have coverage to pay for a rental car. When the tornado smashed her Toyota RAV4, she spent more than $1,000 on a loaner. Diaz spends most of each day thinking about what comes out of her pocket. Since she hasn’t finalized a plan for her wrecked home, Diaz tries to save where she can. She is bringing lunch to work. She’s cutting down on childcare, splitting duties with her boyfriend and sister instead of a paid sitter. For now, insurance covers her rent while she keeps paying her mortgage. Sometime this summer, the insurance money will run out. This whole process has been hard. 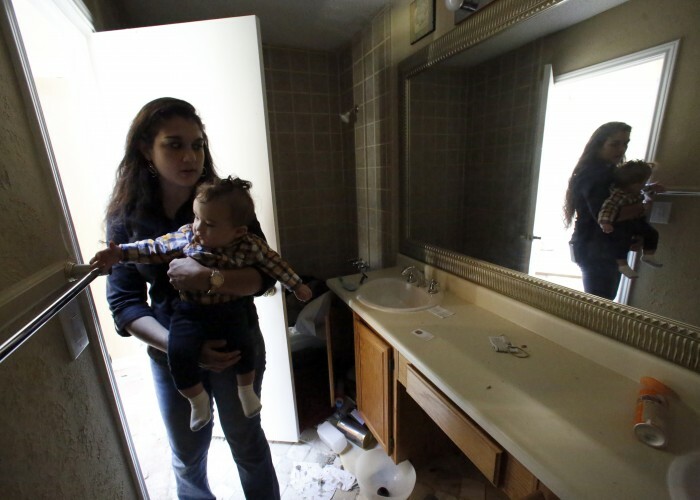 Hugging her baby in the bathtub while a storm ripped through. 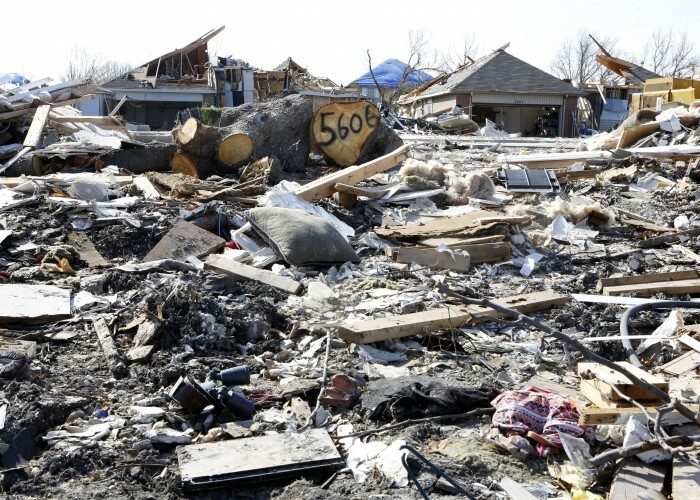 Seeing her wrecked duplex when the sun came up the day after the tornado hit. Living in a hotel for a month, then finding a rental house. And, of course, the nagging worry that she might run out of money, despite having insurance and a full-time job. 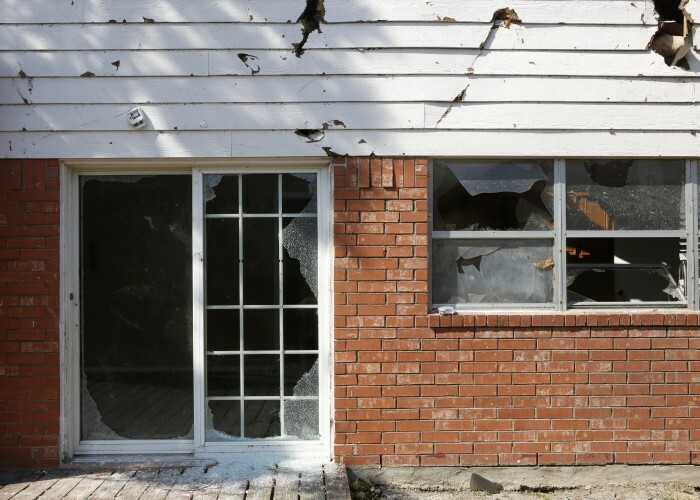 Let’s face it: Even if a home is insured for double its value, you’re never really ready when a storm upends your life. 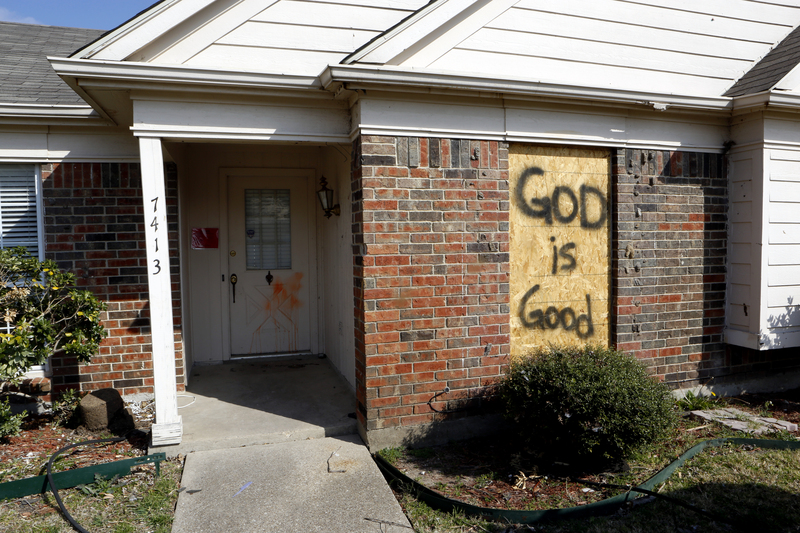 KERA's One Crisis Away series Rebuilding A Life: A Year Later is funded in part by Communities Foundation of Texas and Texas Women’s Foundation and the Carl B. & Florence E. King Foundation. Rebuilding A Life is part of KERA's One Crisis Away Initiative.